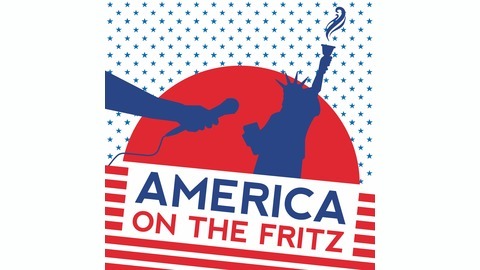 America On The Fritz is a podcast about the America of today. It is an attempt to find answers to this question: what is wrong with America right now? During America On The Fritz, I will go places in this country, speak to Americans about this country, listen to stories that this country has to tell. This is not a podcast about daily events and news items. America On The Fritz goes deeper. America On The Fritz is an attempt to understand the underlying factors of what is going on with America. From an outsider’s perspective. My perspective. With every episode, I will learn a bit more about this fascinating country. This country that is not doing so well right now. And you are invited to join me on this discovery tour of the America of today. Get ready for interesting, funny, surprising stuff happening on the episodes. Come along and find out what’s up with America. For more info and background stories visit www.AmericaOnTheFritz.com. Artwork by the fabulous Laurens Hebly. Theme music 'Fires Escape' by Peter Salett, Dusty Shoes Music. 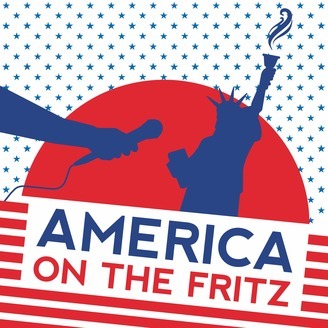 In this finale, I discuss everything and all that this season of America On The Fritz has been all about. And my conversation partner, Thomas Frank, manages to help me understand how America got to where it is. And why America is a country full of wonderful people and great ideals nonetheless. Come along and find out what's up with America, one episode at a time. If you like the episode and you feel so inclined, please subscribe, share, and review and rate the podcast. Artwork by Laurens Hebly. Music 'Fire Escape' by Peter Salett.